Sunday Afternoon: Superbowl, or Mystery Reading?? Gee, is it really a question? 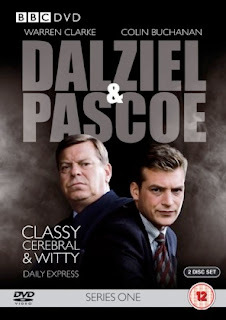 Dave's got his focus, along with at least one crime fiction author in conversation today. How about you? Well, we are all waiting for the Superbowl game this Sunday. My friend Dave Zeltserman is on the edge of his seat and waiting for the start of the game and for the Patriots to score first and often. My dad, who is a Giants fan, thinks that they will win the Superbowl. In 1964 my parents took my sister and me to The World's Fair. At that particular time in my life I was a Giants fan and they had a number of great players: Y. A. Tittle, Andy Robustelli, and Rosey Greer. One of the premier football players of the day was Paul Hornung, the Hall of Fame halfback of the Green Bay Packers and a member of the team that won the first ever Superbowl in January 1967. 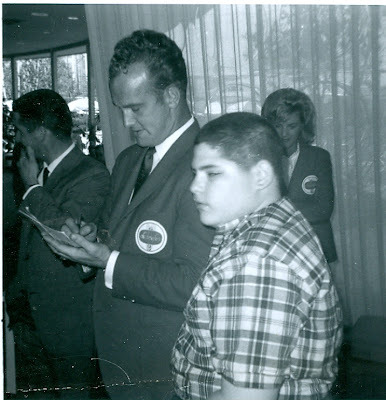 My dad took this photo of Paul Hornung giving me an autograph at the Schaefer Beer Pavilion at the Fair. Last week, Soho Crime released a softcover edition of DETECTIVE INSPECTOR HUSS by Helene Tursten. The hardcover came out in the United States back in 2003; the softcover timing, I think, is geared to the mid February release of Tursten's Night Rounds in hardcover by Soho. Whether my guess is right or not, the timing sure works for me. Last year I read two other good Irene Huss police detective novels -- The Torso and The Glass Devil -- but this new release is actually the first in the series, and I'm really glad that Soho sent a copy here. Don't mix Tursten's books in with the painful hauntings of many Scandinavian "noir" novels that have crossed the Atlantic in translation recently. 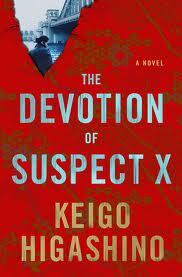 Although it's a crime/police/detection novel, it's neither "literary" nor grief-stricken. As one of the few female detective inspectors in Göteborg, Sweden, Irene Huss finds sexism rampant within the police department, and sees domestic violence and family losses differently than most of her male colleagues. But she herself is (heavens, this is rare now!) a well-adjusted woman with a hard-working, kitchen-capable husband and a pair of teenage daughters with normal issues -- a bit of rebellion, a few too many risks. When Huss takes risks, she doesn't do it out of self-destructiveness; she calls for a partner or for back-up; she knows that investigation will solve the case through the gradual revelation of detail, motive, and human failings. I've got to say, I love this protagonist. Unlike, say, Lisbeth Salander, I'd love to sit down for coffee and pastries with Detective Inspector Huss. Remember the ballad of Richard Cory? From a poem by Edward Arlington Robinson, Paul Simon created a bitter song in 1965 that was recorded as part of the Simon & Garfunkel Sounds of Silence album. In the narrative, a wealthy man who owns half the town commits suicide, out of the emptiness of his life, and a poverty-stricken observer wishes he could have done the same. I couldn't help thinking of the song at the opening of DETECTIVE INSPECTOR HUSS, when tycoon Richard von Knecht lands on the pavement outside his high-rise apartment and Huss takes the call, gathering up her superintendent (Sven Andersson, a man whose blood-pressure issues are only crowded out by his genial old-time sexism), and heading across the soggy snow/rainy city toward the pavement death scene. She can't quite quash a hint of being titillated by the news, and by the chance to see how the very wealthy live. But details quickly suggest that von Knecht's death -- plunging from a balcony when terrified of heights, clearly from a relaxed drinking session with someone -- must be murder. And Huss probes the not-so-happy lives of the moneyed family. An odd set of connections links some of the investigation with a second one into the Hell's Angels, drug crimes, and a situation that batters Huss and her partner in well-portrayed ways. Equally disturbing is the incipient racism that one of Huss's daughters is parading, thanks to a skinhead boyfriend. Each page, each twist, each line of conversation (nice straightforward feel to the translation by Steven T. Murray) rings true to life. I never felt incredulous or skeptical; I never put the book down for more than a few minutes, either. It's great to see the threads that Tursten established in this earliest volume of her series (watch for film versions, too). The quiet racism directed against "exotic" Finns intrigued me, along with the European ways of thinking and the Scandinavian relationships with winter darkness. This one will stay on my shelf for reading again -- a sturdy, steady investigation that goes on for nearly 400 pages and stays fresh and enjoyable. And, oh yes, I'm glad to say the same characteristics are represented in the newest translated Tursten, too. More about that, as we get close to mid February. Note: Helene Tursten's earlier careers were in nursing and dentistry. She was born in Göteborg, Sweden, where DETECTIVE INSPECTOR HUSS is set. The legend of Lake Memphremagog's "fur bearing beaver trout." 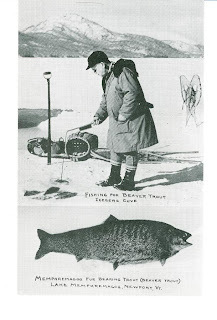 The first fur bearing trout was "caught" by Newport photographer Ralf Sessions during the winter of 1927–1928, shown below. Another Newport photographer, Harry Richardson, is shown above fishing near Owl's Head Mountain. PS from Beth -- One of long-time book-collecting clients here at Kingdom Books was finally given an ultimatum by his wife: Switch from books to postcards. They take up less space. Gosh! It's a weather day up on the ridge here in Vermont: We got three inches of fresh snow, then three hours of rain, which iced things up and then made them very, very wet. Had to wear rubber boots to splash through the slush to get the mail. Somehow that leads to a collage of tidbits that I've wanted to mention. First, I must be a bit slow connecting the pieces, but I just realized that the Carl Hiaasen I've heard for a long time on NPR is the same one whose Florida mysteries grace the shelves here at Kingdom Books. Duh! Oh well, I know more than I did a few hours ago. If you'd like to watch a 4-minute video of Hiaasen reflecting on Florida politics and the economy, check this out. Next, "Uncle, Uncle!" to all the people who've asked me whether I've read The Book Thief, a young-adult novel set in Germany during World War II; I'm halfway through, so please don't spoil the plot! 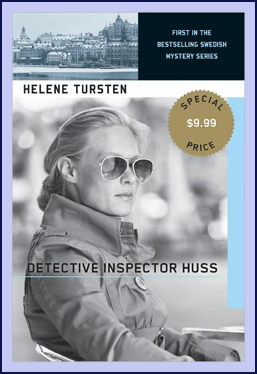 Coming up in reviews: Helene Tursten's first mystery, Detective Inspector Huss -- I laid hands on a copy just in time to fill in the gaps before I review the newly translated Tursten title Night Rounds, coming out from Soho Crime in February (which is almost here). I'll be writing (with delight) about both of these titles in the next few days. 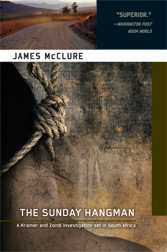 What a pleasure to read THE SUNDAY HANGMAN by James McClure (Soho Crime, Feb. 2012). Set in "apartheid" South Africa, around the 1970s, this is the sixth of McClure's eight books that feature Lieutenant Tromp Kramer of the Trekkersburg Murder and Robbery Squad and his sidekick, Bantu Detective Sergeant Mickey Zondi. The partnership of the two police officers -- one living in white comfort, with hot running water for baths, and a servant to make tea; the other scraping by with his wife in a dirt-floored home and a tin bath filled with a few gallons by hand (a perfect contrast provided early in this book) -- blesses the series with that special tenderness of grown men who care desperately about each other's welfare but are restricted to showing it through the equivalent of the American punch on the shoulder. And, of course, through intense loyalty on the job, to each other and to their principles. And that explains why those who discover the McClure series are likely to become passionate followers, disappointed when they've consumed all eight books. (McClure died in 2006. He'd been a photographer, then a teacher, then a crime reporter.) The books won the Crime Writers Association (CWA) Silver Dagger and Gold Dagger awards. Soho Crime has been quietly bringing them to the US, and THE SUNDAY HANGMAN debuts in paperback in February. The book opens with the unexpected death of a lifelong criminal named Tollie Erasmus. When Lieutenant Kramer hears that Erasmus committed suicide, he's frankly incredulous. Why would Tollie Erasmus hang himself, when he's got thousands to live on and has eluded South Africa's penal system? Because of the powerful class divisions in South Africa, and the multiple languages that go with them -- Afrikaans and English on one side, Bantu and other "native" languages on the other -- Kramer takes Mickey Zondi with him to investigate the rural death. And with Doc Strydom riding along, it's soon clear that the death is murder, not suicide. But Doc Strydom pulls more out of police and court records, in a search to justify his outspoken decision on the death, and soon Kramer and Zondi are making multiple trips among Johannesburg, Durban, and the little rural hamlet of Witklip, trying to find points in common between this fresh death and other disturbing notes in the files. This is a lively and compelling read, as well as a reminder of how desperate the apartheid situation was, so recently. The blatant and crushing racism of that time shows up in even the smallest casual conversations in THE SUNDAY HANGMAN, although McClure weaves it deftly into the narrative within a paternalism that feels a lot like a Kipling story. But the dangers of the racial prejudices show up in crimes and their investigation, and McClure spins a good tale. For a good overview of the past fifty years of mysteries set in Africa (and published in English), try this article from Verna Suit at Mystery Readers International (2010). From the review article, I was reminded that Henning Mankell's book The White Lioness (1993) is set in South Africa, as is Suzanne Arruda's Jade del Cameron series. I'm also a fan of a modern-day South Africa series by Jassy Mackenzie: Random Violence (2010), Stolen Lives (2011), and due out in April of this year, The Fallen (watch for more on that title later). If you've been reading the Botswana series by Alexander McCall Smith, featuring the No. 1 Ladies Detective Agency, you'll find the McClure series more gritty and challenging. But underneath the two series is the same love of place, people, and the possibility of justice. 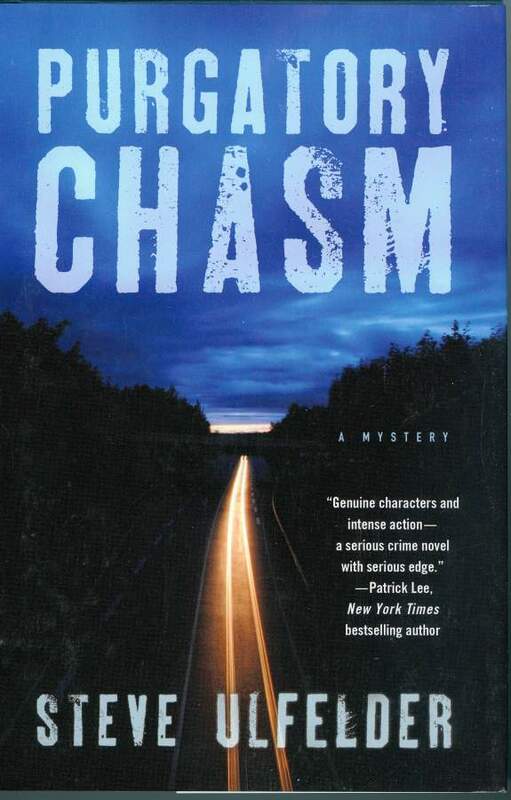 Last week I realized it had been a while since I'd read one of John Gilstrap's well-paced, rewarding thrillers. 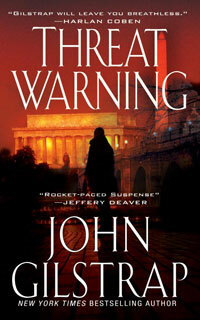 When I checked, I discovered I'd missed out on a title that came out last July: THREAT WARNING. Since it features Jonathan Grave and "the Big Guy," it was irresistible and I quickly laid hands on a copy. Now that's what I call good weekend distraction -- terrorist threats, a kidnapping, and the rescue specialists of Security Solutions spinning into an intense set of problems and eventual solutions that's perfectly paced for tension and occasional moments of "Yes! Yes!!" This Gilstrap offering is also interesting for the conflict it paints on the team: Jonathan Grave and the Big Guy are former combat specialists and have a pragmatic military approach to how to handle deadly threats. Relatively new partner Gail Bonneville, emotionally involved with Jonathan, comes from a policing and legal position that values rights, laws, and what's proper. Can Gail make it on the team? More to the point, can she -- and they -- survive, if her inner conflicts slow her reflexes? I particularly like the kinds of Special Forces-type problem solving that show up in Gilstrap's books. And I have a soft spot for plots that hang on whether friendships and partnerships can be sustained (and how they sustain, in turn, the souls of people whose lives involve a lot of death). So a prowl around Gilstrap's author website also intrigued me this weekend, but also startled me with two announcements: One, he's offering, right on the site, the original ending to his noted first book, Nathan's Run. Might be interesting. Two, with publisher Kensington Books (Pinnacle imprint), Gilstrap is reissuing his less well known second book, At All Costs -- especially because it reveals the persona and background of character Irene Rivers, who makes only short appearances in the other thrillers but whose efforts are often pivotal in getting Jonathan and his team ultimately out, wounded or not, with their rescued hostages, in varied settings. And the book is coming out directly as an e-book first, now available on book-buying websites and at bookshops that peddle e-books (there are more of these each day!). Later this year, Kensington will follow up with a paperback of At All Costs. But why wait, if you're itching for another Gilstrap thriller? Whether you read the new Nathan's Run ending or pick up the e-book of At All Costs or just spend a bit of time on Gilstrap's website (including an essay on why he writes thrillers), this unexpected shaping of book releases is darned interesting. Wonder what's ahead, and what the advantages will be to readers who can't wait for the next in this tightly constructed series? Dave says: Congratulations to Massachusetts author Steve Ulfelder! 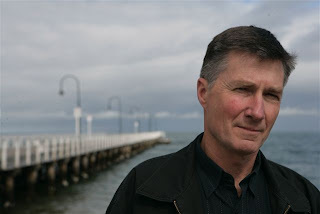 We met Steve Ulfelder last November on the final day of the Crime Bake Conference in Dedham, Massachusetts, and we want to congratulate him on the nomination as a finalist for an Edgar Award for Best First Novel for his book Purgatory Chasm, which was released by St. Martin's Press on May 10, 2011. Here's a good interview with Steve from around the time the book first came out -- Publishers Weekly gave the book a starred review and said, "Ulfelder couples precise, evocative prose with an original private investigator in his compelling hard-boiled debut." Protagonist Conway Sax, a recovering alcoholic with NASCAR mechanic experience, attempts to retrieve an expensive classic car from a garage that hasn't bothered to work on it, and finds himself caught up in assault and discovering a murder. What a great start to a series, which we trust will soon be announced. Here's the author's blog, which already has a couple of interesting posts. Best Novel: The Ranger by Ace Atkins (G.P. Putnam's Sons); Gone by Mo Hayder (Atlantic Monthly Press); The Devotion of Suspect X by Keigo Higashino (Minotaur Books); 1222 by Anne Holt (Scribner); Field Gray by Philip Kerr (Marion Wood Books). Best First Novel by an American Author: Red on Red by Edward Conlon (Spiegel & Grau); Last to Fold by David Duffy (Thomas Dunne Books); All Cry Chaos by Leonard Rosen (The Permanent Press); Bent Road by Lori Roy (Dutton); Purgatory Chasm by Steve Ulfelder (Thomas Dunne Books). Best Paperback Original: The Company Man by Robert Jackson Bennett (Orbit Books); The Faces of Angels by Lucretia Grindle (Felony & Mayhem Press); The Dog Sox by Russell Hill (Caravel Mystery Books); Death of the Mantis by Michael Stanley (Harper); Vienna Twilight by Frank Tallis (Random House Trade Paperbacks). Best Fact Crime: The Murder of the Century: The Gilded Age Crime That Scandalized a City and Sparked the Tabloid Wars by Paul Collins (Crown); The Savage City: Race, Murder, and a Generation on the Edge by T.J. English (William Morrow); Destiny of the Republic: A Tale of Madness, Medicine and the Murder of a President by Candice Millard (Doubleday); Girl, Wanted: The Chase for Sarah Pender by Steve Miller (Penguin Group); The Man in the Rockefeller Suit: The Astonishing Rise and Spectacular Fall of a Serial Imposter by Mark Seal (Viking). Best Critical/Biographical: The Tattoed Girl: The Enigma of Steig Larsson and the Secrets Behind the Most Compelling Thrillers of our Time by Dan Burstein, Arne de Keijzer and John-Henri Holmberg (St. Martin's Griffin); Agatha Christie: Murder in the Making by John Curran (HarperCollins); On Conan Doyle: Or, the Whole Art of Storytelling by Michael Dirda (Princeton University Press); Detecting Women: Gender and the Hollywood Detective Film by Philippa Gates (SUNY Press); Scripting Hitchcock: Psycho, The Birds and Marnie by Walter Raubicheck and Walter Srebnick (University of Illinois Press). Best Short Story: "Marley’s Revolution" – Alfred Hitchcock Mystery Magazine by John C. Boland (Dell Magazines); "Tomorrow’s Dead" – Ellery Queen Mystery Magazine by David Dean (Dell Magazines); "The Adakian Eagle” – Down These Strange Streets by Bradley Denton (Penguin Group USA – Ace Books); "Lord John and the Plague of Zombies" – Down These Strange Streets by Diana Gabaldon (Penguin Group USA – Ace Books); "The Case of Death and Honey" – A Study in Sherlock by Neil Gaiman (Random House Publishing Group – Bantam Books); “The Man Who Took His Hat Off to the Driver of the Train” – Ellery Queen Mystery Magazine by Peter Turnbull (Dell Magazines). Best Juvenile: Horton Halfpott by Tom Angleberger (Abrams/Amulet); It Happened on a Train by Mac Barnett (Simon & Schuster); Vanished by Sheela Chari (Disney-Hyperion); Icefall by Matthew J. Kirby (Scholastic Press); The Wizard of Dark Street by Shawn Thomas Odyssey (Egmont USA). Best Young Adult: Shelter by Harlan Coben (Putnam); The Name of the Star by Maureen Johnson (Putnam); The Silence of Murder by Dandi Daley Mackall (Knopf); The Girl Is Murder by Kathryn Miller Haines (Roaring Brook); Kill You Last by Todd Strasser (Egmont USA). The Simon & Schuster - Mary Higgins Clark Award: Now You See Me by S.J. Bolton (Minotaur Books); Come and Find Me by Hallie Ephron (William Morrow); Death on Tour by Janice Hamrick (Minotaur Books); Learning to Swim by Sara J. Henry (Crown); Murder Most Persuasive by Tracy Kiely (Thomas Dunne Books). more titles and within a couple of weeks the books were not arriving as quickly as I was devouring them. series." At that point I have never heard of Garry Disher so I ordered two of the titles from the paperback dealer. 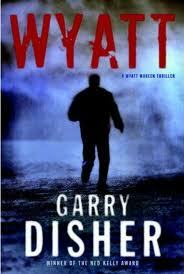 Garry Disher’s Wyatt series was published and available only in Australia and they were paperback originals. I started reading the Wyatt series and again I was devouring the series faster than I could obtain the titles I was missing. After a few years I rounded up a complete collection of the Wyatt series titles and also some other Disher titles. Australian Wyatt series, so you'll have the books around to enjoy. As a footnote, we were very pleased to meet Garry Disher in Boston a few years ago at an event hosted by Kate’s Mystery Bookstore, featuring several Soho Press authors. Garry Disher signed more than forty titles for us that evening, so we also have signed copies of his Challis & Destry series of police procedurals set in Australia. Write Local (aka "What You Know"), Go National!! High excitement here at Kingdom Books today, as fellow Brigantine Books author Beth Hilgartner saw her book PKP for President go national. It's on the front cover of today's issue of Publisher's Weekly and there's a paragraph on the book inside, on page 22. Beth H lives just across the Connecticut River in the gorgeous New Hampshire town of Orford (she works in Vermont though), and PKP is a very smart cat (aren't they all?) who lures the New Hampshire primary Presidential candidates into online "virtual debates." PKP is a fierce social liberal, and there's a lot of good debate in the novel, as well as a bit of mystery and lots of humor. Obviously, Beth H wrote what she knows -- cats, and politics -- and set it locally -- in the Granite State. And now it's on a national magazine. So proud of you and your book, Beth H, and of micro-publishers Neil Raphel and Janis Raye at Brigantine, who dared to move into fiction in 2011/2012 and are proving that good stuff grows locally. We've seen a flurry of orders recently for books by Garry Disher, particularly the signed ones on our shelves. It's good to see -- Soho Crime's US publication of Disher's crime novels has delighted us, and we've been stacking them up. Wyatt went still. He'd come to value the quality of Eddie's information, but was wary of the people who supplied it. Wyatt preferred to work alone; he trusted only his own plans. But the big scores always involved others: those he could rely on, those he'd never met before, those who could finger him, those who might cross him. And all of those are ahead, making this a dark and dangerous episode in Wyatt's career. There's a great write-up of the book by Glenn Harper at the International Noir Fiction site, and I can't say much more than Harper has already -- except that I think Disher's Wyatt is several shades darker than Donald Westlake's Richard Stark and Tucker Coe books (and WAY darker than the standard Westlake caper novels), with emphasis on how a sociopath functions. Yet I found a bit more emotion tucked into WYATT than Harper did, because I suspected that Wyatt's tangling with a woman in the story who sees things the way he does is going to lead to more interactions in the books to come. In fact, Whispering Death hasn't made it to the US yet -- Soho, do you have it scheduled? I hope so! But I've read the others and enjoyed the crawling, challenging progress that Inspector Hal Challis and Sergeant Ellen Destry have made toward understanding and appreciating each other while tackling gruesome crimes. There's enough darkness and despair in both their personal and professional lives to keep this series away from anything actually sweet -- yet there's a tenderness between the two investigators that somehow speaks of hope, despite their careers. Now if there were a way to preorder a book that hadn't yet been announced here for publication, believe me, I'd be signing up for Whispering Death already. 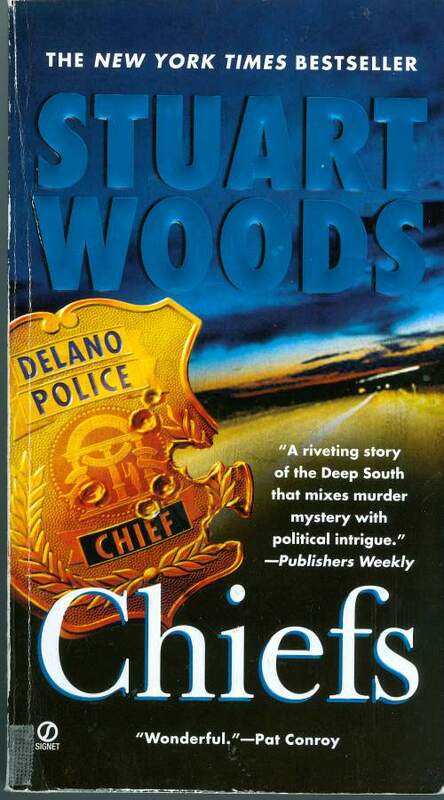 Over the past few years a number of mystery readers have asked me if I have read Stuart Woods's Edgar Award-winning book Chiefs and I finally finished it today. It deserves a five-star rating. It is a sprawling novel of 578 pages and importantly shows the begining of change and of racial justice in a small southern town in Georgia. 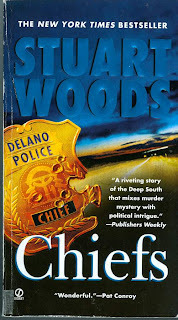 Chiefs won the Edgar in the category of Best First Novel, and was published in 1981. It spans fifty years of racial tension, politics, and murder in the small Southern town of Delano, Georgia, where a depraved killer claims his innocent victims even as three very different generations of chiefs of police seek to stop him. The time period of the novel focuses from the 1920s to the early 1960s. 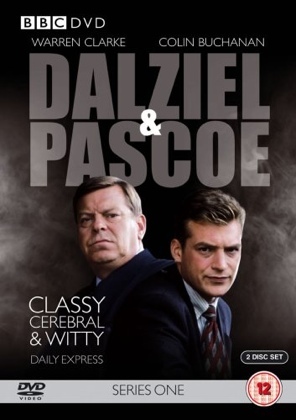 The paperback re-issue pictured here was published in 2005 and was a 10th printing copy. Chiefs had a first edition, first printing run in hardcover of 20,000 copies and is difficult to find in fine condition; if you find one, prices can run between $150.00 and $300.00. Okay, I apologize already for the title -- but it really does describe what I'm up to. This weekend, Vermont mystery author Archer Mayor has posted on Facebook some details of his exciting 23rd book in the Joe Gunther police procedural series. The book won't come out until the fall of this year, by Mayor's turned in his manuscript and today he announced the title: PARADISE CITY. Please, please, let the publishing process leave the title as is! As a New England traveler, I knew right away what "Paradise City" refers to -- Northampton, Mass., has a wonderful long-standing autumn art fair called the Paradise City Arts Festival. The photo here gives you a bit of the flavor. And as a mystery fan, I'm delighted with how Mayor handles keeping his Joe Gunther series fresh, by moving the action to a town away from Gunther's hometown of Brattleboro, VT, in every second book. It works. Canadian author Louise Penny uses the same geographic alternation: one book mostly centered in her fictional village of Three Pines (in the rural part of Quebec Province, just north of the Vermont border), the next in another location such as Montreal or Quebec City. Penny has confessed that with at least one death in each of her Chief Inspector Armand Gamache books, she'd come close to depopulating Three Pines if she set every murder there! So alternating location works well for her. 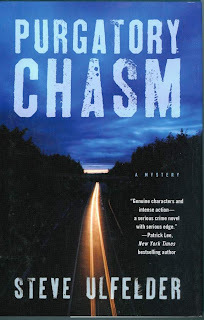 Another series that I enjoy is the Lydia Chen/Bill Smith one created by S. J. Rozan, who ought to get a LOT more name recognition -- if you haven't read any of hers, try a couple of these well-built traditional mysteries with a provocative location, New York's Chinatown. Rather than alternate locations, Rozan alternates narration voice for this series: one book from Lydia's point of view, the next from Bill's. Because the two characters are so different, and there's such great tension between them, the alternating perspective is exciting. by Reginald Hill, under a pseudonym! 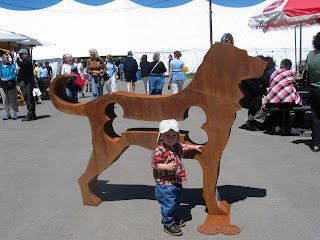 Dave rounded up this info for Reginald Hill readers and those with Vermont mystery collections, too! One of the titles, Urn Burial (aka Beyond The Bone), was published by the former Foul Play Press of Woodstock, Vermont, in 1987 and has a very unusual cover illustration by Wladislaw Finne. Copies of the Foul Play Press edition are uncommon. 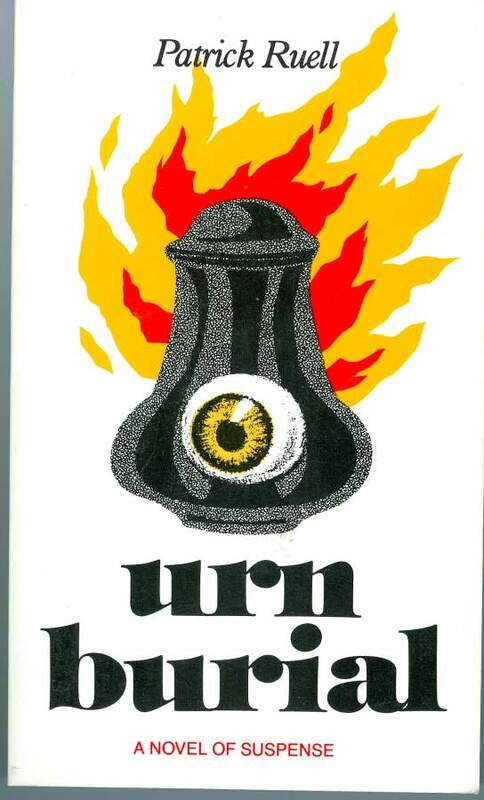 We have one copy at Kingdom Books (*Dave just added this to our ABE listing; should show up there in an hour or so), as well as some mysteries under Reginald Hill's own name. British crime writer Reginald Hill, who in 1995 won the Crime Writers' Association Cartier Diamond Dagger for Lifetime Achievement, died Thursday at the age of 75. His first book, A Clubbable Woman (1970), also became a BBC program, as illustrated here. His most recent book, released in 2010, was The Woodcutter. For an extensive list of his books, see his Wikipedia site. We'll have more to say about his books -- but tonight is a significant football game that Dave's watching, and I'm reading some mysteries that I want to write about in tomorrow's posts. So I'll keep it short this evening and just say that we are both very sorry to learn of this ending, and hope that readers will honor Hill in the best way possible: by re-reading all his books, or getting to know them at last. Which Cover Would You Choose? And Why Does Lassie Belong in This Post? 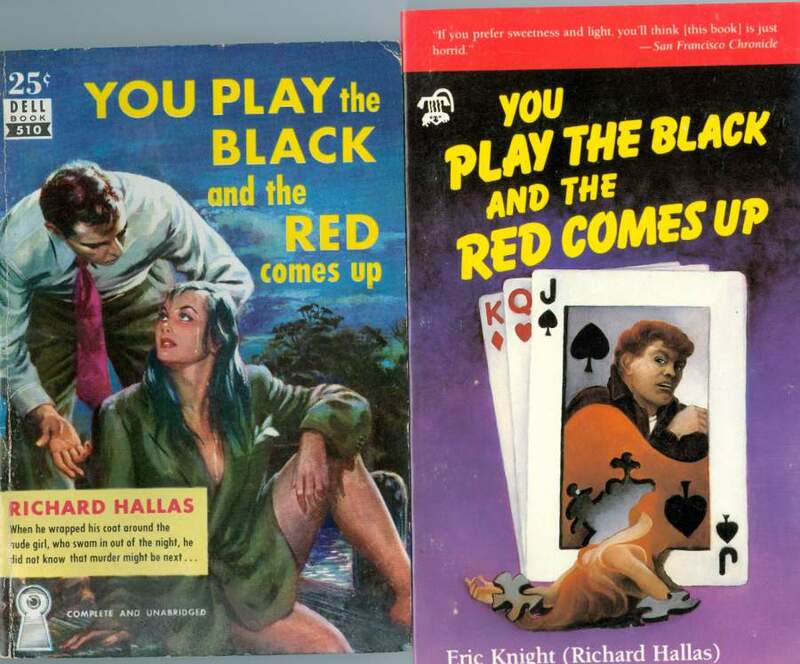 Here are two covers of the same title written by Eric Mowbray Knight (1897–1943), who used the pseudonym Richard Hallas. The book on the left is a copy of a Dell #510 and was published in 1951. It has become an uncommon title, particularly when it's in very good to fine condition . The cover illustration is by Victor Kalin. The setting of the book is California. A hardcover version that is a first edition, first printing is scarce and also very costly. 224 pages. Hardboiled. The book to the right was published in 1986 by the pubishing house Black Lizard/Creative Arts of Berkeley, California.The original Black Lizard series was edited by the author Barry Gifford. This issue has a six-page introduction by David Feinberg. The cover illustration is by Kirwan, who illustrated many of the Black Lizard books. 134 pages. I have been a collector of the original Black Lizard/Creative Arts series, and Barry Gifford, its founder and long-time editor, should receive more credit for keeping "noir" in print at that particular time. So, which cover do you like, and why? The Kalin cover from 1951, or the Kirwan cover of 1986? Finally, Eric Knight was the author who created the fictional collie Lassie. We've got a "winter storm warning" from the weather service for tomorrow, here in northern Vermont, so I'm planning to spend part of the windy, snowy day in the kitchen -- provided the power lines don't snap. When there's a chance of "freezing rain," you can't be sure the electricity will stay on. That, of course, is why my long-term plans for the kitchen include adding a gas stove. I realize that there are more pressing reasons for a gas stove: I doubt that Rex Stout's magnificent protagonist Nero Wolfe and Wolfe's live-in cook Fritz would ever consider cooking on an electric burner. Gas ones are far more controllable. And yes, I do think about Nero Wolfe when I'm planning a company menu. 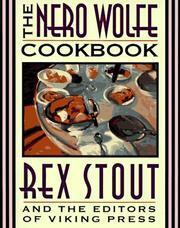 Owning a softcover copy of The Nero Wolfe Cookbook helps, of course. I doubt that I could ever let it go ... there's that recipe for tomato tarts, for instance (as mentioned in the Rex Stout book Fer-de-Lance: "Wolfe had a relapse. It was a bad one, and it lasted three days. When I got back to Thirty-fifth Street, he was sitting in the kitchen, arguing with Fritz about whether chives should be used in tomato tarts.") And where else can you find papaya custard? Not to mention the elegant dishes that Wolfe enjoys at nearby Rusterman's Restaurant, when he can be persuaded to leave the house. Dave just listed for sale today a wonderful classic of the "killer recipes" genre: a book issued by the Mystery Writers of America back in 1989, PLOTS & PANS: RECIPES AND ANTIDOTES FROM THE MYSTERY WRITERS OF AMERICA. The cover goes on to promise "delicious recipes from the most imaginative writers in America -- spiced with their wit, leavened with their malice, and served with their own distinctive style." Illustrations by the wickedly funny Gahan Wilson and an introduction by Isaac Asimov (!) add to the book, which includes recipes and comments from such murder mavens as Lilian Jackson Braun, Philippa Carr (aka Victoria Holt), Mignon Eberhart, Elizabeth Peters (Barbara Michaels), and Mary Higgins Clark, as well as Max Allen Collins, Stephen King, Elmore Leonard, and John D. MacDonald. Just goes to show ... poison may still be framed as a "woman's weapon," but good food is important to nearly every hard-working mystery author. And reader, I presume! 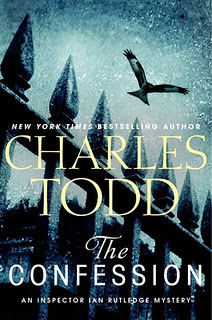 The newest Charles Todd mystery has arrived, THE CONFESSION, and it's the 14th in the Inspector Ian Rutledge series (the other Todd series features Bess Crawford). This one gives a quick glimpse of action in 1915, then takes us, with Inspector Rutledge, to the London summer of 1920, when a man arrives at Rutledge's Scotland Yard office to make a near-deathbed confession: He is Wyatt Russell, he says, and he killed a man -- not in the recently ended Great War, but in 1915 nonetheless, and the victim was his foster brother Justin Fowler. Rutledge can obtain almost no further details from this frail confessing killer, except that he's now dying of an inoperable tumor himself, is being treated with morphine for pain, and will assert that his own confession is merely the morphine speaking, if Rutledge attempts to detain him. What's to be done with this odd confession? Long-time readers of the series will feel no surprise that Rutledge, moved by both compassion for this frail person and determination to get to the bottom of a possible crime, accompanies the presumed murderer to lunch at a posh hotel not far away. Little in the way of explanations comes from the time spent dining together, but the case picks up urgency when the confessing man's body is found a few days later, in the Thames, not a suicide but clearly the victim himself of a gunshot to the back of the head. As a result, Inspector Rutledge begins a sequence of journeys to a house in the Essex marshes, River's Edge, where Wyatt Russell had resided, and to the oddly frightened and angry villagers who live nearby in the village of Furnham. The case that unfurls involves an extended family, deaths in and around the war, and a much older history that carries threats and the presence of evil, creeping into Rutledge's investigation in multiple ways. It's a neatly plotted mystery, tight, careful, intriguing, and redolent of "place" -- the isolated areas of England's seacoast where secrets may be carried through the generations. And in that way it resembles Rutledge #10, A Pale Horse. First-time readers of the Todd books will enjoy the careful turns of the narrative and the quiet strength that Rutledge brings to the investigation. On the other hand, as a fan from book 1 all the way through, I was sorry that three elements of some of the earlier Rutledge books were absent from this one: (1) the eerie power of the voice of a dead man that haunts Rutledge due to mingled shell shock and guilt (Hamish's voice in THE CONFESSION is never really more than a set of subconscious awarenesses of the case and its possible issues; there is no threat conveyed from Hamish to Rutledge); (2) the grating and recognizable friction and persecution that Rutledge has endured as Scotland Yard, due in part to being well educated and in part to the shame of having had treatment for shell shock; and (3) the presence of serious fear and loss that Rutledge must overcome (yes, he gets hurt a bit, but almost as a side effect, without fuss). Moreover, the longings that Charles Todd (a son-and-mother writing team of Anglophiles living in the United States) has portrayed in Rutledge in earlier books -- longings for friendship, romance, trust -- again have little presence or force in this book, and the curious past figure of Meredith Channing, significant in Rutledge's post-war life, is here merely a shadow mentioned every so often without explanation. So this is one of those odd books that will, I believe, be enjoyed more by the reader who's new to Charles Todd and the wonderful post-World War I investigations created by the author team -- and less by those who have appreciated the unease and quirkiness underlying the earlier volumes, a disturbing portrait of national regret and loss that feels at times close to the powerful "Regeneration" novels by Pat Barker, set in the same period. That said, I don't regret a minute of the time spent reading this well-written and strong investigation. I only hope the next Rutledge title will have a bit more of the aspects that have best differentiated the series in the past. View from Kingdom Books, snowscape. NOT Scandinavian! Interested in the trend of "Scandinavian Noir" and what's ahead? 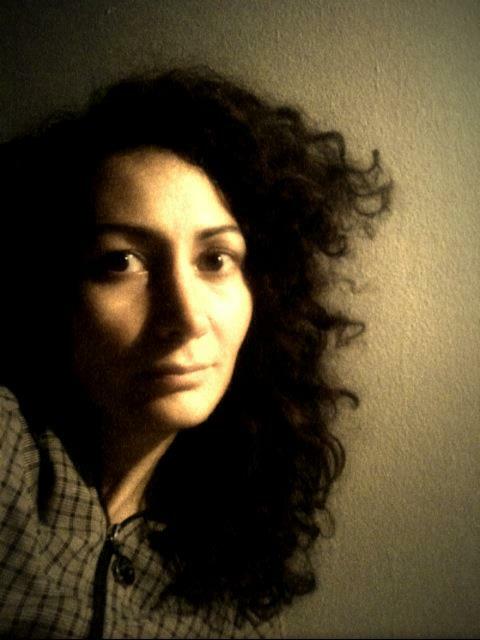 Check out the end-of-2011 piece at PublishingTrends.com. "You know my methods, Watson," says my inner Sherlock Holmes in response to the sensible question, "Why are there poetry diversions on a blog about and for mysteries and their authors and readers?" Me, I enjoy the sharp difference of genres, and as a writer, I think poetry can sharpen descriptive skills, improve the "music" of the narrative flow, and prevent writer's block. So for others who might want to sample some "new" poetry but don't necessarily know how to choose it, here's a great solution: Tupelo Press offers a subscription to its poetry books each year. For $99, you get nine books of poems, hot off the press, often signed by the authors. The editors at this Vermont publishing firm have good eyes and ears for what's fresh, vivid, and often provocative. I sign up for the year's worth, knowing I'll get surprised each time one of the books arrives. And this year's line-up of poets looks strong -- I actually would go way out of my way for anything by Ilya Kaminsky. Here's the Tupelo Press subscription link, making it easy. When I "found" the first book by Taylor Stevens, The Informationist, I quit everything else for a day and a half and devoured the book. 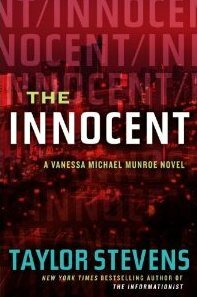 Vanessa Michael Munroe -- known as Michael to her friends, and generally Munroe in the narrative -- has an extraordinary skill in processing information, masses of it, and works with an organization that can assemble it for her, as well as help her field teams where needed for paid assignments that depend on that information. Munroe is also powerfully skilled in self-defense, even to the level of killing when necessary. But the reason she has this other packet of skills reaches back to a truly terrifying adolescence, when brutal abuse forced her to reclaim power over her life through violent response. It's a skill that's dangerous to both her body and her soul, and she's aware of it. As the second book in the series opens, THE INNOCENT, Munroe is battling an equally violent inner enemy: a form of PTSD that has her reliving all the times she's killed people, and then forcing people she loves into the dreamscape. For good reason, she's become afraid of what she'll do while in the grip of these persuasive nightmares. And that's just when her long-time friend and ally, Logan, turns up, begging for her help in rescuing an abducted child. Not only has the child been stolen from her parents, but the girl, on the cusp of adolescence, is being held in a cult where abuse of "innocent" children is destroying their lives. It's way too close to what Munroe experienced in her own childhood, and Logan's plea hits all the intimate, impossible-to-decline buttons in her. She's on her way to Argentina. But will Logan's emotional involvement with this kidnapped child capsize Munroe's careful plans and narrow window of opportunity? And how are her flashbacks affecting her ability to cope -- both from lack of sleep, and from the mingled rage and guilt consuming her? This time, I needed to pace myself in reading what Taylor Stevens has dished up. Far more so than in, say, an Andrew Vachss child abuse crime novel or the massive volumes of the Lisbeth Salander trilogy, Stevens creates a path for readers to identify with Munroe and her choices. This is an avenging CatWoman with scruples, an adept warrior with grief and shadows. I felt that Stevens, whose own past included much of what she writes about -- plus a heroic escape into mainstream life, complete with self-education and a determination to do what Robert Ludlum did in his Jason Bourne trilogy -- could have over-informed the story. But instead, this author has skillfully edited and pared away excess, crafting a strong and unforgettable novel. THE INNOCENT portrays the invisible heroism that comes from determinedly battling, and perhaps vanquishing, the demons of the past. Plus, through the dark and the fear, Stevens weaves strong friendships and well-nourished love. THE INNOCENT didn't leave me in the dark prisons of violence; it lifted a windowframe, opened a door, pointed the way toward a cleaner, better way. Thanks, Taylor Stevens. I'm not sure I can pick my favorite -- it feels like loving one child more than the others, when the truth is, you love them all differently. But Dave picked one, to share as New Year's Day wraps up. "Last night I finished the best crime novel I have read in the last year -- an advance reading copy of Dave Zeltserman's book A Killer's Essence, which will be published by Overlook Press in September. The story line was superb as well as the characters . 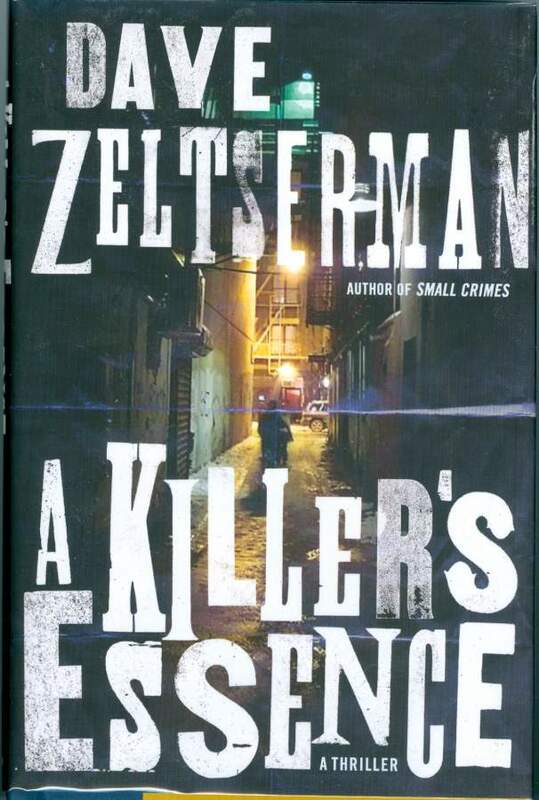 . . [Zeltserman] nailed the atmosphere of New York City and Brooklyn. There is no question that our customers will love this book. And there is no question that I want a copy for my collection, when this comes out." — Dave Kanell, co-owner Kingdom Books in Vermont. 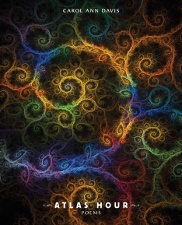 My favorite mystery book jacket of 2011 entered the book world in December of 2011 and was published by Tyrus Books. 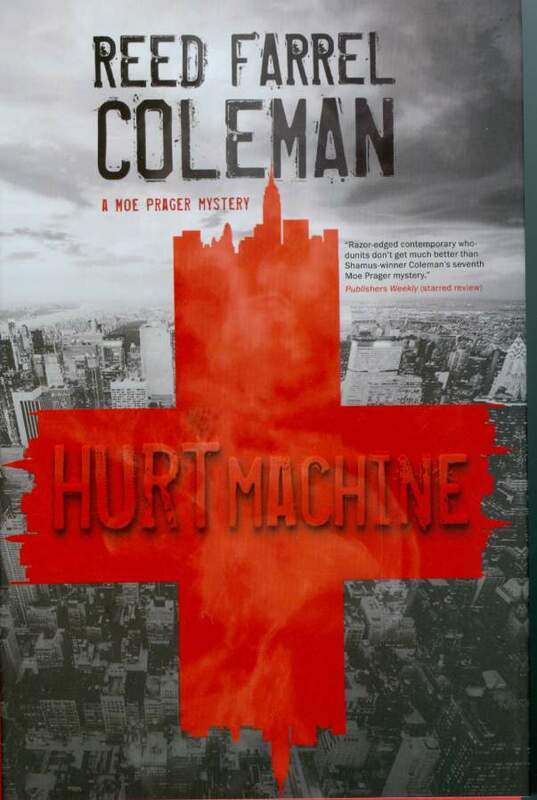 It's Reed Farrel Coleman's book Hurt Machine: A Moe Praeger Mystery. I have read Reed Farrel Coleman's books for a number of years and I am devoted to the Moe Praeger series. Also I have listed from Coleman's website the number of awards and nominations he has received. 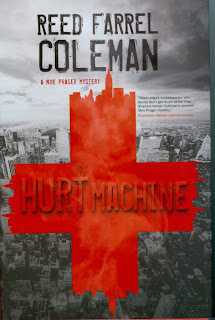 Last week Coleman received a rave review in the Sunday New York Times from crime fiction reviewer Marilyn Stasio. Goes Sleeping, 2. Little Easter, 3. They Don't Play Stickball in Milwaukee.